The second edition of the widely administered Social Responsiveness Scale (SRS-2; Constantino & Gruber, 2012) maintains continuity with the original instrument as an efficient quantitative measure of the various dimensions of interpersonal behavior, communication, and repetitive/stereotypic behavior associated with autism spectrum disorder (ASD). The SRS-2 extends the age range from 2.5 years through adulthood. There are now four forms, each consisting of 65 items and for a specific age group: Preschool Form (ages 2.5 to 4.5 years); School-Age Form (4 to 18 years); Adult Form (ages 19 and up); and Adult Self-Report Form (ages 19 and up). Nationally representative standardization samples were collected to support each form. These samples consist of a total of 4,709 ratings of 1,963 individuals: 474 ratings of 247 preschool children, 2,025 ratings of 1,014 school-age children, and 2,210 ratings of 702 adults. The individual items of the SRS-2 show strong parallels across forms. While most of the 65 items are the same, some were changed and reference activities and social behavior that are specific and appropriate to the ages covered by their respective form. Only the School-Age form is unchanged in its item content from the first edition of the SRS. Each item is scored on a 4 point Likert-scale: 1 (“not true”); 2 (“sometimes true); 3 (often true); and 4 (“almost always true”). Scores are obtained for five Treatment Subscales: Social Awareness; Social Cognition; Social Communication; Social Motivation; and Restricted Interests and Repetitive Behavior. There are also two DSM-5 Compatible Subscales (Social Communication and Interaction and Restricted Interests and Repetitive Behavior) that allow comparison of symptoms to the new DSM-5 ASD diagnostic criteria. Interpretation is based on a single score (Total Score) reflecting the sum of responses to all 65 SRS questions which serves as an index of severity of social skills across the autism spectrum. The SRS-2 Total score is expressed in raw and T-scores. Raw scores are converted to T-scores for gender and respondent. T-score guidelines provide interpretive language applicable to the specific age rages covered by the various forms (preschool, school-age, and adult). A total T-score of 76 or higher is considered severe and strongly associated with clinical diagnosis of Autistic Disorder. T-scores of 66 through 75 are interpreted as indicating Moderate deficiencies in reciprocal social behavior that are clinically significant and lead to substantial interference in everyday social interactions, whereas T-scores of 60 to 65 are in the Mild range and indicate mild to moderate deficits in social interaction. T scores of 59 and below are considered to be within typical limits and generally not associated with clinically significant ASD. A Profile Sheet for each form provides T-score results and a brief summary statement to facilitate interpretation and discussion of results. Raters can complete the 65 items in approximately 15 to 20 minutes. Scoring and graphing can be completed in approximately 5 to 10 minutes. 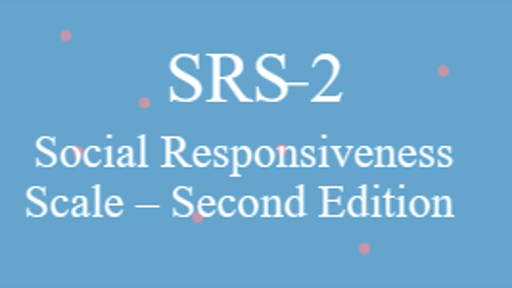 The manual provides a series of case examples to illustrate application of the SRS-2 at different points across the lifespan (preschool, school-age, and adult). 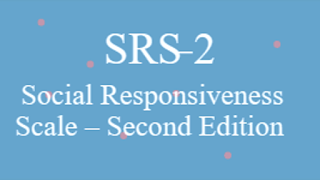 Although the SRS-2 is relatively easy to administer and score, interpretation and application of the results require professional training and experience in child development, psychology, or education. More than 40 research studies and independent resources support the diagnostic validity of SRS-2 and the instrument’s application in a wide variety of clinical and educational contexts. Based on research analyses, a total raw score cutpoint value of 70 is associated with a sensitivity value of .78 and specificity value of .94 for any ASD (autistic disorder, Asperger's disorder, or PDD-NOS) in unselected general-population groups. In terms of positive predictive value (PPV), 93% of children whose scores fall above this cutpoint will, upon completion of a comprehensive assessment, receive a diagnosis of ASD. In most clinical and school settings, raw scores at or above 85 from two separate informants provide very strong evidence of ASD. In a large clinical sample (School-Age Form), ROC (receiver operating characteristics) analyses indicate an area under the curve (AUC) of .968 and a sensitivity and specificity value of .92 at a raw score of 62. This suggests that the SRS-2 is a robust instrument for discriminating between individuals with ASD and those unaffected by the condition. Large samples also provide evidence of good interrater reliability, high internal consistency, and convergent validity with the Autism Diagnostic Interview-Revised (ADI-R), Autism Diagnostic Observation Schedule (ADOS), and Social Communication Questionnaire (SCQ). A significant strength of the SRS-2 is its facility in quantitatively measuring autistic traits and symptoms across the complete range of severity (mild to severe). This is especially important when identifying the more subtle characteristics of autism and more capable and less severely affected individuals with ASD (without intellectual disability). The SRS-2 forms should also be useful for quantifying response to intervention/treatment over time. Extending the age range of the SRS-2 adds to its versatility as a screening and diagnostic measure of symptoms associated with ASD. The Preschool and Adult Forms afford multiple perspectives throughout the life span and provide important tools for both clinicians and researchers to assess these populations. The subscales corresponding to the two symptom domains: Social Communication (SCI) and Restricted Interests and Repetitive Behavior (RRB) also align the SRS-2 with the DSM-5 criteria for Autism Spectrum Disorder (ASD) and Social (Pragmatic) Communication Disorder (SCD). Because a majority of independent research has been limited to the School-Age form, studies are needed to provide further information relative to the diagnostic validity of the Preschool and Adult Forms. Likewise, research is needed to examine the relationship between social impairment and intellectual disability and the more severe forms of ADHD. In sum, the SRS-2 can be used confidently in school and clinical contexts as an efficient measure of ASD symptomatology and severity. Consistent with best practice, the results of questionnaire measures must be integrated with information from multiple sources and interpreted within the context of a comprehensive developmental assessment (see Wilkinson for a description of assessment domains and recommended measures). Constantino, J. N., & Gruber, C. P. (2012). Social Responsiveness Scale, Second Edition. Los Angeles, CA: Western Psychological Services. Adapted from: Wilkinson, L. A. (2017). A Best Practice Guide to Assessment and Intervention for Autism Spectrum Disorder in Schools (2nd Edition). London & Philadelphia: Jessica Kingsley Publishers. Lee A. Wilkinson, PhD, NCSP is a licensed and nationally certified school psychologist, registered psychologist, and certified cognitive-behavioral therapist. He is author of the award-winning book, A Best Practice Guide to Assessment and Intervention for Autism and Asperger Syndrome in Schools, published by Jessica Kingsley Publishers. He is also editor of a best-selling text in the APA School Psychology Book Series, Autism Spectrum Disorder in Children and Adolescents: Evidence-Based Assessment and Intervention in Schools and author of Overcoming Anxiety and Depression on the Autism Spectrum: A Self-Help Guide Using CBT. 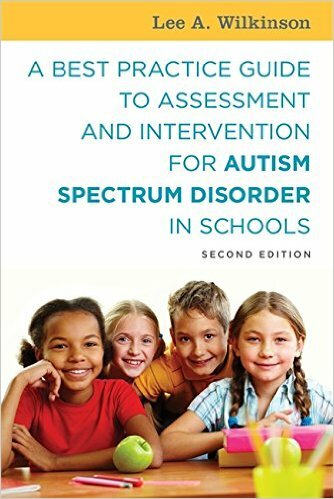 Dr. Wilkinson's latest book is A Best Practice Guide to Assessment and Intervention for Autism Spectrum Disorder in Schools (2nd Edition). Children with autism spectrum disorder (ASD) frequently have co-occurring (comorbid) psychiatric symptoms, with rates significantly higher than would be expected from the general population. Research indicates that the most common co-occurring diagnoses are anxiety and depression, attention problems, and disruptive behavior disorders. 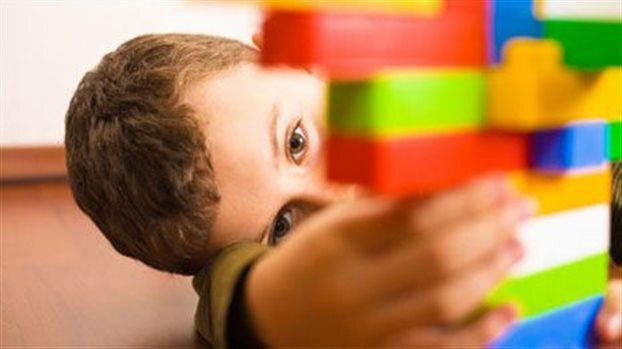 Previous studies also suggest that restricted, repetitive patterns of behavior, interests, or activities (RRBs) are associated with the symptoms of co-occurring psychiatric conditions in individuals with ASD. Hyper-or hypo-reactivity to sensory input or unusual interest in sensory aspects of environment; (such as apparent indifference to pain/heat/cold, adverse response to specific sounds or textures, excessive smelling or touching of objects, fascination with lights or spinning objects. RRBs have been shown to cause significant challenges for both the individual with ASD and his or her family. Likewise, they can impede learning and socialization by decreasing the likelihood of positive interactions with peers and adults. Parents of individuals with ASD also report that RRBs are one of the most challenging features of ASD due to their significant interference with daily life. In contrast with the core domain of social/communication deficits, RRBs have only recently been the focus of systematic research efforts. Stratis and Lecavalier (2013) investigated the relationship between RRBs and co-occurring depressive, anxiety, attention-deficit hyperactivity disorder (ADHD) and oppositional defiant disorder (ODD) symptoms, while considering level of functioning. 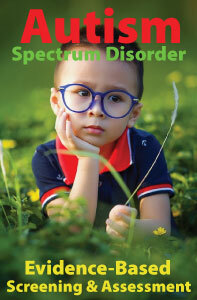 Participants in the study were 72 parents of children and youth diagnosed with ASD (ages 5–17). Children’s co-occurring diagnoses included: Attention-Deficit/Hyperactivity Disorder (ADHD), Anxiety Disorders, Mood Disorders, Behavioral Disorders, and Intellectual Disability. Frequency and severity of RRBs were assessed across five domains: Stereotypic Behavior, Self-Injurious Behavior (SIB), Compulsive Behavior, Ritualistic/Sameness Behavior, and Restricted Interests. Ratings by parents were used to quantify co-occurring symptom severity for each of the following four domains: ADHD, ODD, anxiety disorders and depressive disorders. Data analyses were completed to determine which RRBs were most predictive of co-occurring symptom severity. Children with high levels of ritualistic and sameness behavior tended to show more severe symptoms of anxiety and depression. This appears consistent with the high co-occurrence of depressive and anxiety symptoms in the general population. This finding also suggests that ritualistic and sameness behaviors may be implicated in the development and maintenance of anxiety in individuals with ASD. Interestingly, high levels of restricted interests were associated with less severe symptoms of depression, suggesting that restricted interests may be a protective factor against the development of depression. Although restricted interests frequently have a negative impact on interpersonal relationships, they might also have a positive effect by providing a feeling of self-validation and a means of occupying one’s time, while also serving as an incentive to increase knowledge. Inconsistent with previous research, all psychiatric symptom domains appeared unrelated to children’s level of functioning. However, level of functioning moderated the relationship of SIB and depressive and anxiety symptoms. For higher functioning children and youth, elevated levels of SIB were predictive of more severe depressive and anxiety symptoms whereas higher levels of SIB were predictive of less severe depressive and anxiety symptoms for lower functioning individuals. For lower functioning individuals, high levels of ritualistic and sameness behaviors predicted more severe depressive symptoms while there was no significant relationship for higher functioning individuals. The results of this study may help clarify the presentation of ASD phenotypes, suggesting that different types of RRBs may be predictive of co-occurring psychiatric disorders. This has implications for genetic and neurobiological research. For example, differences underlying genetic and neurobiological factors may be identified based on symptom presentation, including RRBs and co-occurring psychiatric symptoms. Moreover, if RRBs and psychiatric symptoms do share common etiologies, interventions for psychiatric symptoms may help ameliorate RRBs in individuals with ASD. The possibility that RRBs such ritualistic and sameness behaviors may be involved in development and maintenance of anxiety or that restricted interests protect against the development of depressive symptoms has significant implications for treatment and should be explored in future research. Given that RRBs continue to be a core feature of ASD in DSM-5, clinicians and autism professionals should give increased attention to the assessment and presence of RRBs and their impact on common co-occurring disorders and psychological well-being of individuals with ASD. The problem behaviors of children on the autism spectrum are among the most challenging and stressful issues faced by schools and parents. The current best practice in treating and preventing unwanted or challenging behaviors utilizes the principles and practices of positive behavior support (PBS). PBS has been demonstrated to be effective with individuals across a wide range of problem behaviors and settings. Although used successfully both in the classroom and school-wide, PBS is not a specific intervention per se, but rather an approach that has evolved from traditional behavioral management methods. PBS refers to a set of research-based strategies that are intended to decrease problem behaviors by designing effective environments and teaching students appropriate social and communication skills. PBS utilizes primary (universal, school-wide), secondary (targeted group), and tertiary ( individual support) levels or tiers of intervention, each level providing an increasing level of intensity and support. An essential component of PBS is a functional behavior assessment (FBA) to help determine the events that influence and maintain an individual student’s persistent and challenging behavior. FBA methods are considered best practice in identifying and designing behavioral intervention plans for students who demonstrate serious problem behaviors that require more intensive and individualized supports. An important goal of a functional assessment is to identify antecedents or environmental situations that will predict the occurrence and nonoccurrence of the student’s challenging behavior. Another goal is to obtain and expand information that will improve the effectiveness and efficiency of intervention strategies. FBA identifies the function(s) that the behavior appears to serve for the student. For example, a student might exhibit challenging behaviors with the goal of escape or the goal of seeking attention. When the curriculum is difficult or demanding, he or she may attempt to avoid or escape work through challenging behavior (e.g., refusal, passive aggression, disruption, etc.). Similarly, they may use challenging behavior to get focused attention from adults and peers, or to gain access to a preferred object or participate in an enjoyable activity. Problematic behavior may also occur because of sensory aversions. Because students with ASD also have significant social and pragmatic skills deficits, they may experience difficulty effectively communicating their needs or influencing the environment. Thus, challenging classroom behavior may serve a purpose for communicating or a communicative function. When we understand the goal of student behavior then we can begin to teach alternative replacement behavior and new interactional skills. The process of conducting an FBA is best described as (a) an strategy to discover the purposes, goals, or functions of a student’s behavior; (b) an attempt to identify the conditions under which the behavior is most likely and least likely to occur; (c) a process for developing a useful understanding of how a student’s behavior is influenced by or relates to the environment; and (d) an attempt to identify clear, predictive relationships between events in the student’s environments and occurrences of challenging behavior and the contingent events that maintain the problem behavior. An FBA can be conducted in a variety of ways. There are two general assessment tools to assist in the collection of information about the variables and events that surround the occurrence (or nonoccurrence) of the student’s challenging behavior. The first are interviews and rating scales that provide information from the individuals (parents, teachers) who know the student best, along with the student themselves. The second method is direct observation of the student in his or her natural daily environments. One observation strategy for collecting observational information is the A-B-C format. The observer records the Antecedent to the behavior (what happened immediately before the behavior), describes the Behavior, and the Consequence of the behavior (what happened immediately after). 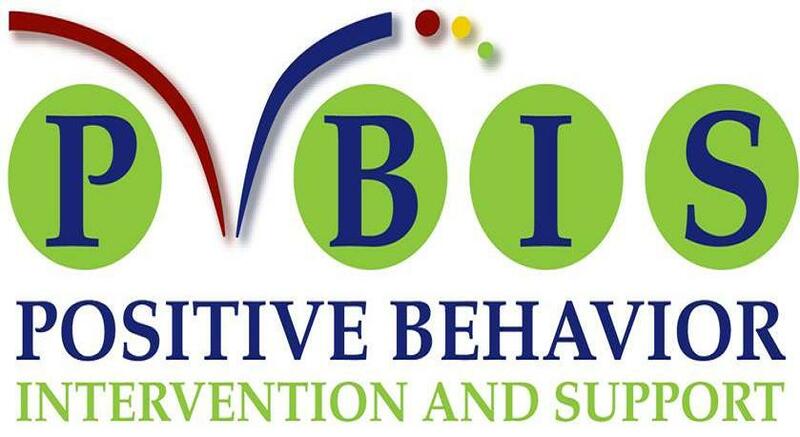 A behavior intervention plan or BIP is a written, individualized support plan based on a functional assessment of the child’s challenging behavior that utilizes behavioral interventions and supports to reduce behaviors that interfere with the learning progress and/or increase adaptive, socially appropriate behaviors that lead to successful learning for the student. A BIP is considered a legal document that incorporates a comprehensive set of procedures and support strategies that are selected based on the individual student’s needs, characteristics, and preferences and supports the goals and objectives of the IEP. Positive behavioral intervention plans include (a) modifications to the environment; (b) teaching skills to replace problem behaviors; (c) effective management of consequences; and (d) promotion of positive life-style changes. It is essential that behavior support plans have a replacement skill included in them to create long-term changes to behavior that generalizes across settings. If the child needs a BIP to improve learning and socialization, the BIP can be included as part of the IEP and aligned with the goals in the IEP. The following steps are a general guide to developing a comprehensive student behavior intervention or support plan. The behavior support plan should be developed collaboratively and begin with a functional behavior functional behavior assessment (FBA) of the problem behavior to understand the student and the nature of the challenging behavior in the context of the environment. Next, the professional team examines the results of the functional assessment and develops hypothesis statements as to why the student engages in the challenging behavior. The hypothesis statement is an informed, assessment-based explanation of the challenging behavior that indicates the possible function or functions served for the student. This includes a description of the behavior, triggers or antecedents for the behavior, maintaining consequences, and purpose of the problem behavior. Once developed, the hypothesis provides the foundation for the development of intervention strategies. The focus of intervention plan is not only on behavior reduction, but for also teaching appropriate, functional (generally communicative) skills that serve as alternative/replacement behaviors for the undesirable behavior. Changes should be identified that will be made in the classroom or other setting to reduce or eliminate problem behaviors. Prevention strategies may include environmental arrangements, personal support, changes in activities, new ways to prompt the student, and changes in expectations. These strategies should be integrated into the student's overall program and daily routines, rather than being separate from the curriculum. A positive behavior intervention plan must be implemented as planned (with integrity). Following implementation of the plan, the team regularly reviews and evaluates its effectiveness and makes modifications as needed. The design and implementation of a behavior support plan should be considered a dynamic process rather than one with a specific beginning and end. Overtime, the plan will need to be adjusted as the student's needs and circumstances change. Research indicates that PBS can be effective for reducing and preventing problem behaviors of children with ASD. For example, a review of published research studies found that in cases where PBS strategies were used, there was as much as an 80% reduction in challenging behavior for approximately two-thirds of the cases studied. The Individuals with Disabilities Education Act (IDEA) has endorsed PBS as a preferred form of intervention for managing the problematic behavior of students with disabilities and requires that "positive behavioral interventions, strategies, and supports" be used when addressing the needs of students who demonstrate persistent challenging behavior that impedes their learning or the learning of others.